MULTI FUNCTION REMOTE control for easy operation. With a hand carved top and a variety of flame colors measuring 3" wide and 4" 5" 6" tall. 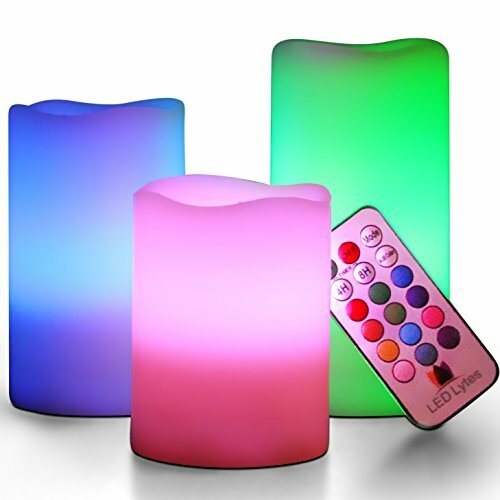 Great for teens, seniors and anyone that loves candles!